Avtar Singh Gill, the former petroleum secretary, alleged that Rajiv Gandhi aide Arun Nehru had sanctioned the violence. Did disparate groups of rioters act spontaneously during the anti-Sikh riots of 1984, or was the violence orchestrated at the behest of the top leadership of the Congress? This question has dogged Congress governments since Delhi’s Sikh comunity was devastated by one the bloodiest bouts of communal carnage after Independence. The Congress has long maintained that the violence was an unplanned response to the assassination of Prime Minister Indira Gandhi by two Sikh bodyguards on October 31, 1984. The riots continued until November 3. Now, a recent statement by a senior government official of the time has added credence to the allegation that the violence was indeed orchestrated, and that the clearance came from the top. Avtar Singh Gill, the former petroleum secretary, has told Caravan magazine that Arun Nehru, a cousin and confidant of Rajiv Gandhi, had given clearance for Sikhs to be attacked and killed in Delhi. Gill’s revelations have greater significance because he was often consulted by Arun Nehru on Punjab and Sikh issues. “As one of the few Sikhs in a senior position in the government – even though I was clean shaven, he [Nehru] wanted to know my views,” the former petroleum secretary is quoted as saying. Gill’s also explains – again for the first time – how rioters could easily identify Sikh houses. Lawyer HS Phoolka, who is leading the legal battle to secure justice for the victims of the 1984 riots, is quoted in the article saying “the ease with which Sikh houses were identified would make sense if Gurdwara voters’ lists were available”. Gurdwara voter lists contain the names of people eligible to vote in the elections to the Delhi Sikh Gurdwara Management Committee. That these lists were already available to “people in the higher ranks” is made clear by another contention Phoolka makes in this article. via 1984 anti-Sikh riots were an organised massacre, says ‘Caravan’ article. Britain has acknowledged advising the Indian government ahead of its 1984 raid on the Golden Temple in Amritsar, an admission that links the U.K. — India\’s former colonial master — with one of the bloodiest episodes in the subcontinent\’s recent history. Foreign Secretary William Hague told Parliament on Tuesday that British military advice was \”purely advisory\” and had only a \”limited impact\” on the operation. \”A single U.K. military officer provided some advice. But critically, this advice was not followed, and it was a one-off,\” Prime Minister David Cameron said in a video message to the Sikh community in Britain. Still, the acknowledgement of any link to the deadly attack that killed hundreds if not thousands at Sikhs\’ holy temple will be disturbing to many. 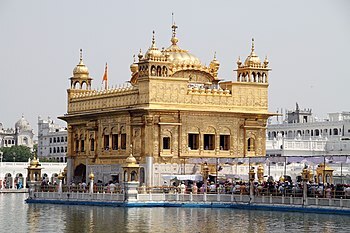 The storming of the Golden Temple in Amritsar was one of the most contentious episodes in the Indian government\’s battle against Sikh separatists, whose violent campaign for an independent homeland in the Punjab region smoldered into the 1970s and 80s. via Britain says it had role in 1984 India temple raid – Businessweek. It would seem that 28 years is not long enough for those directly affected by Operation Bluestar to forgive and forget. That’s assuming the four suspects were indeed separatist-Sikhs bent on revenge. BBC: “Police in London say the stabbing of the Indian general who led the 1984 raid on Sikhism’s holiest shrine was attempted murder. Lt-Gen Kuldeep Singh Brar was stabbed in the neck by four men with beards on Sunday night. He is out of hospital. Hundreds died when troops flushed Sikh separatist militants out of the Golden Temple in Amritsar in Punjab state. The 78-year-old is thought still to be a target for extremist Sikhs, but the identity of his attackers is unclear. 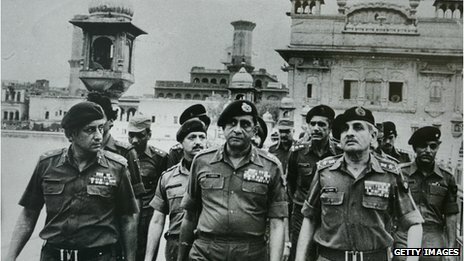 Lt-Gen Brar, himself a Sikh, was one of the architects of Operation Bluestar, which removed armed Sikh militants fighting for an independent homeland of Khalistan from the temple. According to the Indian government, the operation left about 400 people, including 87 soldiers, dead. Sikhs groups contest this figure, saying the number of casualties was several times higher. 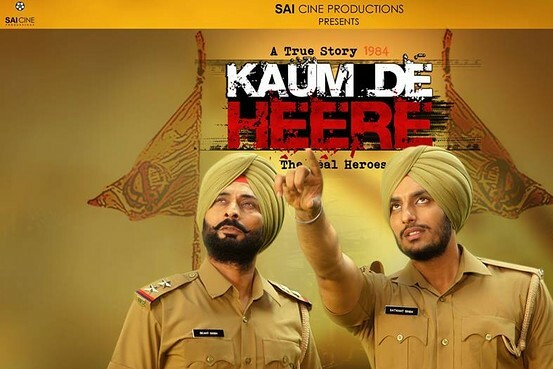 via BBC News – ‘Murder attempt’ on Golden Temple raid General Brar.